Thats all. Game finished - Nantes 3, Paris Saint Germain 2. Second Half ended - Nantes 3, Paris Saint Germain 2. Maxime Dupé - Nantes - receive yellow card. Edgar Ié - Nantes - won a free kick in defence. Substitution - Nantes. Randal Kolo Muani for Kalifa Coulibaly. Corner - Paris Saint Germain. Conceded by Nicolas Pallois. Corner - Paris Saint Germain. Conceded by Edgar Ié. Substitution - Nantes. Anthony Limbombe for Majeed Waris. Goal! Nantes 3, Paris Saint Germain 2. Metehan Guclu - Paris Saint Germain - shot with right foot from the right side of the box to the left corner. Assist - Colin Dagba. New attacking attempt. Metehan Guclu - Paris Saint Germain - shot with the head from the centre of the box is saved by goalkeeper in the centre of the goal. Assist - Dani Alves with a through ball. New attacking attempt. Nicolas Pallois - Nantes - shot with left foot from the left side of the box is saved by goalkeeper in the centre of the goal. Assist - Majeed Waris. 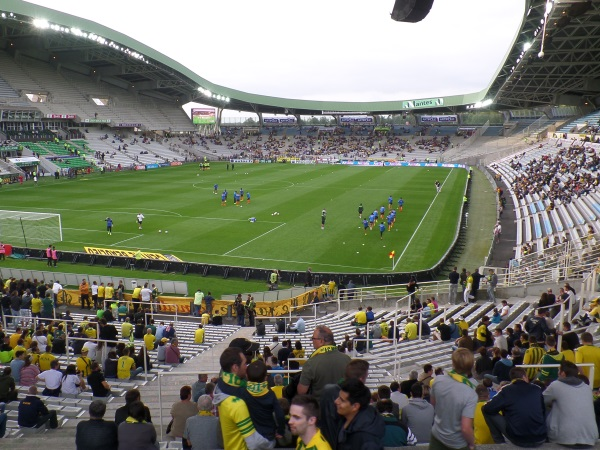 Offside - Nantes. Samuel Moutoussamy with a pass, however Kalifa Coulibaly is in offside. Moussa Diaby - Paris Saint Germain - won a free kick in defence. Colin Dagba - Paris Saint Germain - receive yellow card for a foul. Charles Traoré - Nantes - won a free kick in defence. New attacking attempt. Eric Maxim Choupo-Moting - Paris Saint Germain - shot with right foot from the centre of the box is saved by goalkeeper in the centre of the goal. Assist - Metehan Guclu. Corner - Nantes. Conceded by Leandro Paredes. Shot blocked. Samuel Moutoussamy - Nantes - shot with left foot from the right side of the box is blocked. Assist - Kalifa Coulibaly. Substitution - Paris Saint Germain. Metehan Guclu for Layvin Kurzawa. New attacking attempt. Nicolas Pallois - Nantes - shot with right foot from a diffucult position on the right is saved by goalkeeper in the centre of the goal. Assist - Valentin Rongier. Julian Draxler - Paris Saint Germain - receive yellow card for a foul. Valentin Rongier - Nantes - won a free kick in attack. Missed chance. Valentin Rongier - Nantes - shot with right foot from outside the box goes high . Shot blocked. Valentin Rongier - Nantes - shot with right foot from outside the box is blocked. Samuel Moutoussamy - Nantes - won a free kick in attack. New attacking attempt. Layvin Kurzawa - Paris Saint Germain - shot with the head from the centre of the box is saved in the left corner. Assist - Colin Dagba with a cross. Presnel Kimpembe - Paris Saint Germain - won a free kick on the left wing. Dani Alves - Paris Saint Germain - won a free kick in defence. Missed chance. Diego Carlos - Nantes - shot with the head from the centre of the box goes high. Assist - Valentin Rongier with a cross after corner. New attacking attempt. Majeed Waris - Nantes - shot with right foot from the right side of the six yard box is saved by goalkeeper in the centre of the goal. Assist - Valentin Rongier. Christopher Nkunku - Paris Saint Germain - won a free kick in attack. Valentin Rongier - Nantes - won a free kick on the right wing. Missed chance. Christopher Nkunku - Paris Saint Germain - shot with the head from the centre of the box missed to the left. Assist - Eric Maxim Choupo-Moting with a cross. Substitution - Paris Saint Germain. Colin Dagba for Stanley N'Soki. Corner - Paris Saint Germain. Conceded by Diego Carlos. Missed chance. Kalifa Coulibaly - Nantes - shot with right foot from more than 35 yards is very close to the goal. Delay in match Majeed Waris - Nantes - - injury. 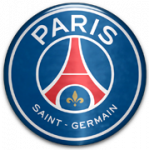 Presnel Kimpembe - Paris Saint Germain - receive yellow card for a foul. Majeed Waris - Nantes - won a free kick on the right wing. Corner - Nantes. Conceded by Moussa Diaby. Second Half starts Nantes 2, Paris Saint Germain 1. First Half ended - Nantes 2, Paris Saint Germain 1. Goal! Nantes 2, Paris Saint Germain 1. Majeed Waris - Nantes - shot with right foot from few metres to the right corner. Assist - Samuel Moutoussamy. Missed chance. Samuel Moutoussamy - Nantes - shot with right foot from the centre of the box is close, but missed. Assist - Kalifa Coulibaly. Julian Draxler - Paris Saint Germain - won a free kick in attack. New attacking attempt. Moussa Diaby - Paris Saint Germain - shot with right foot from a diffucult position and long distance on the right is saved by goalkeeper in the centre of the goal. Assist - Leandro Paredes. Christopher Nkunku - Paris Saint Germain - won a free kick in defence. Shot blocked. Moussa Diaby - Paris Saint Germain - shot with right foot from a diffucult position on the right is blocked. Assist - Julian Draxler. Offside - Nantes. Abdoulaye Touré with a pass, however Diego Carlos is in offside. Offside - Nantes. Diego Carlos with a pass, however Kalifa Coulibaly is in offside. Christopher Nkunku - Paris Saint Germain - won a free kick on the right wing. Goal! Nantes 1, Paris Saint Germain 1. Diego Carlos - Nantes - shot with the head from the centre of the box to the right corner. Assist - Valentin Rongier with a cross after corner. Corner - Nantes. Conceded by Dani Alves. Goal! Nantes 0, Paris Saint Germain 1. Dani Alves - Paris Saint Germain - shot with right foot from outside the box to the top left corner. Assist - Leandro Paredes. New attacking attempt. Nicolas Pallois - Nantes - shot with the head from the centre of the box is saved in the right corner. Assist - Valentin Rongier with a cross. Charles Traoré - Nantes - won a free kick on the left wing. Presnel Kimpembe - Paris Saint Germain - won a free kick in defence. Shot blocked. Eric Maxim Choupo-Moting - Paris Saint Germain - shot with right foot from the left side of the box is blocked. Assist - Stanley N'Soki. New attacking attempt. Kalifa Coulibaly - Nantes - shot with the head from the centre of the box is saved in the left corner. Assist - Charles Traoré with a cross. Offside - Paris Saint Germain. Layvin Kurzawa with a pass, however Eric Maxim Choupo-Moting is in offside. Dani Alves - Paris Saint Germain - won a free kick on the right wing. Shot blocked. Nicolas Pallois - Nantes - shot with left foot from outside the box is blocked.